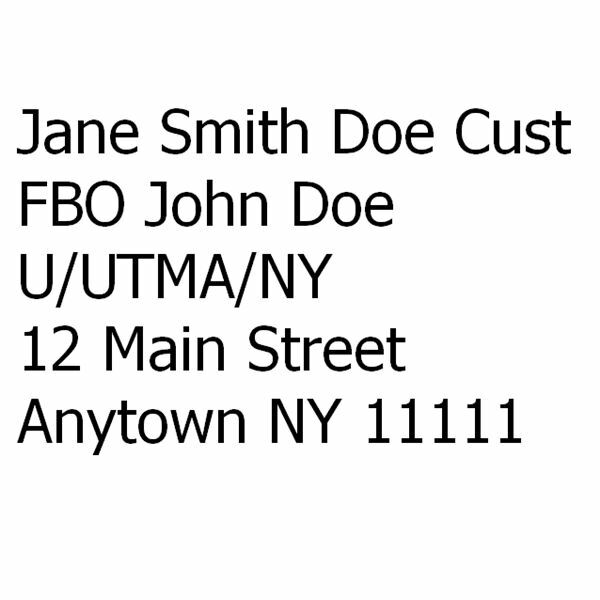 This specifies that the custodian of the account is Jane Smith Doe but the account owner is John Doe. The registration also is specific that the account is governed under the rules of the Uniform Transfers to Minors Act as adopted by the state of New York. According to the UTMA regulations in New York, .a custodial account distribution from a brokerage account requires the signature of the custodian up until the minor reaches the age of 21. This means that the custodian is required to submit a letter of intent (LOI) to the brokerage account for the purposes of liquidation. In some cases, the brokerage firm may require specific language in the letter of intent. This may include a statement that the proceeds from the liquidation are to be used for the benefit of the minor. Liquidation instructions – the letter of intent must include specific instructions regarding the funds in the account. If the minor is using funds from an UTMA account for funding a Roth IRA, the check may be mailed directly to the new brokerage (or mutual fund company) with specific instructions. Liquidation may also involve merely transferring the funds from a custodial account to a personal account. (1) Signature Guarantee – it is important to note that a signature guarantee is not the same as a notarized document. 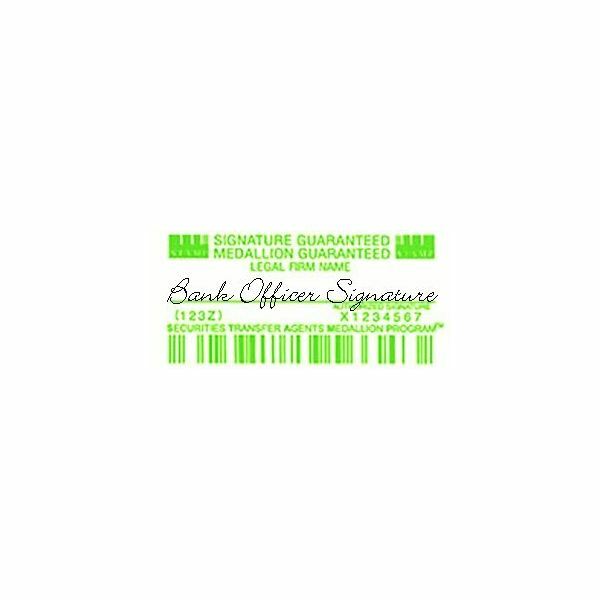 Signature guarantees have a financial backing that states that the bank (or other authorized guarantor) takes financial responsibility for the identity of the person. The information contained in this article is based on the author's personal experience. However, not all brokerage firms or mutual fund companies require the same information. Some companies may request more (or less) information to facilitate a transfer or liquidation of funds. It is important before sending documents in for the purposes of liquidating a custodial account that you contact the company to determine their specific requirements.